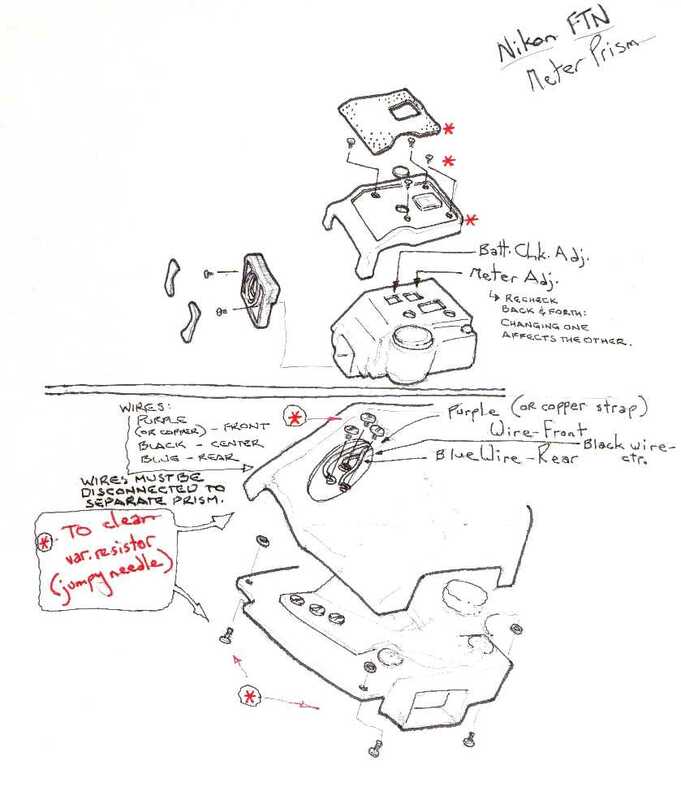 Here are some sketches on disassembling the Photomic meter prisms for the Nikon F.
Above is a disassembly sketch for the Photomic "T" prism. This was the first of the TTL meters; the second-generation "Tn" is almost identical. But how about the FTN? 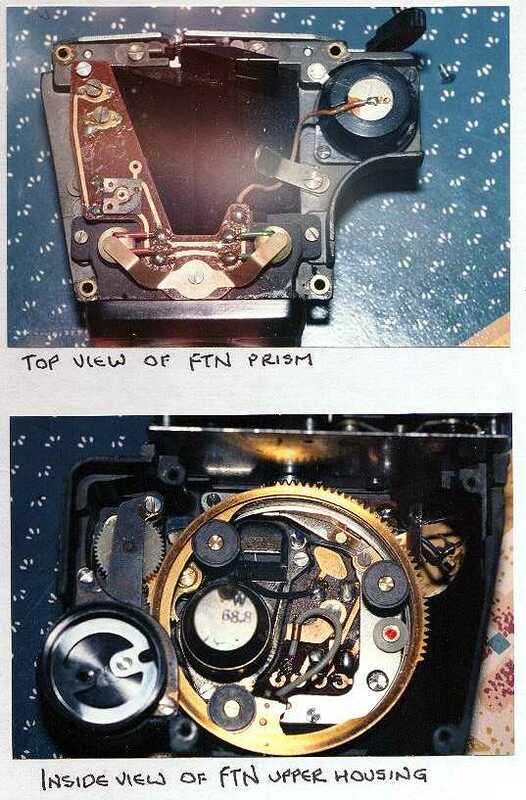 The links below will take you to sketches of the FTN, the last and best of the NIkon F meter prisms. They are kind of hard to read, though: my lines were light and the scans aren't very clear. I'll try to improve them as soon as I can.